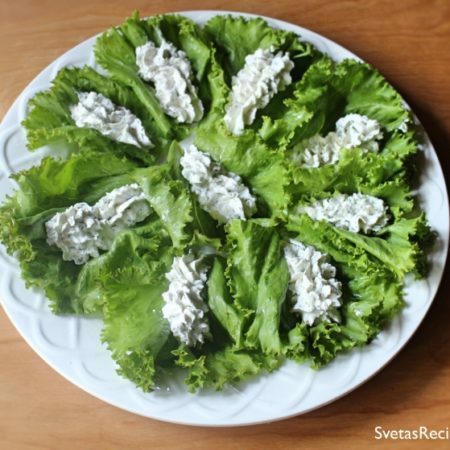 This appetizer is great to serve on the side for a large meal, its a very simple recipe and does the job. Its very healthy and includes a lot of vitamins. 1.) 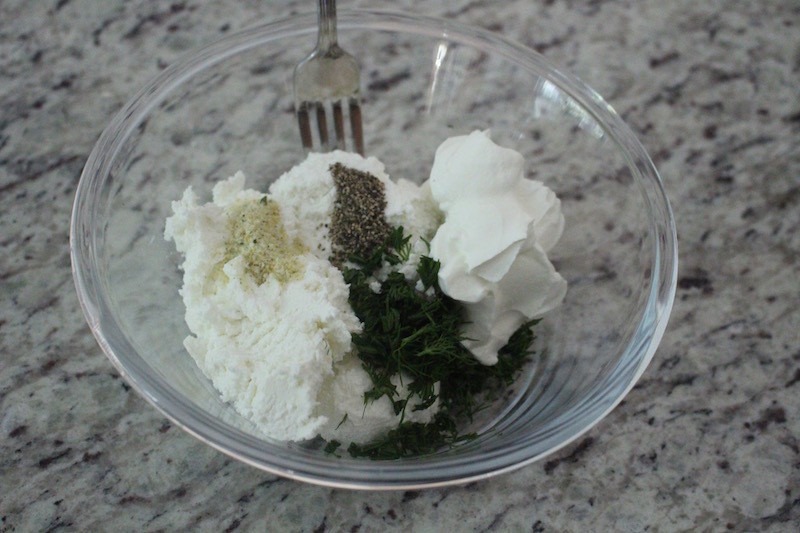 In a small bowl mix together your sour cream, farm cheese, seasoning and your crushed dills. 2.) 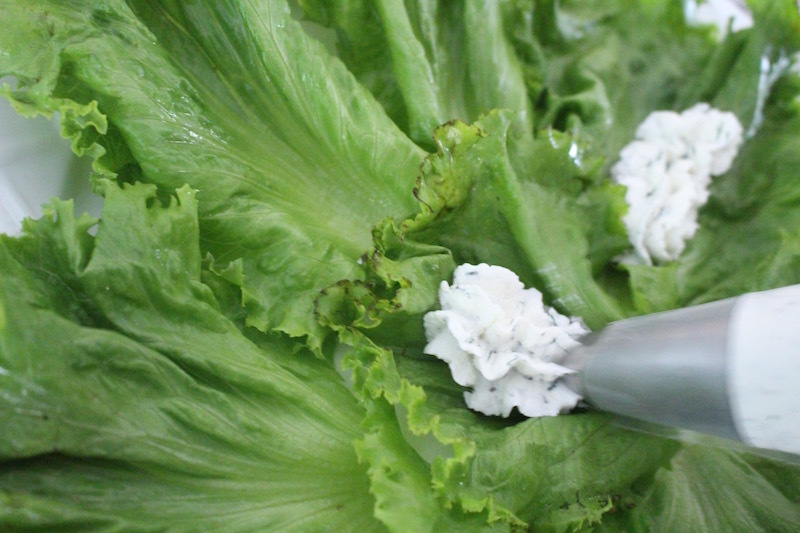 Wash and Dry your salad leaves then, place your salad leaves onto your serving dish and using a star tip with a piping bag pipe out small lines of your cheese mixture. Serve and Enjoy! NOTE: Make this recipe right before serving. 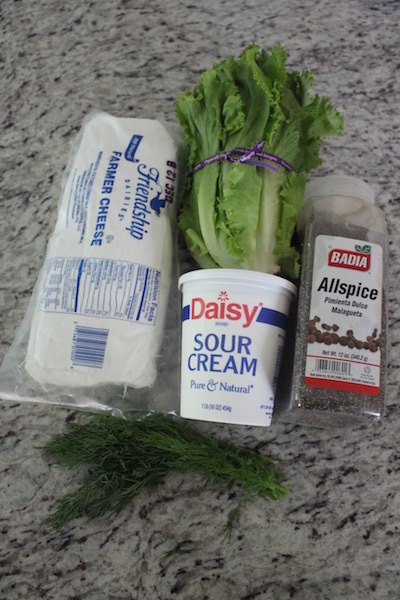 In a small bowl mix together your sour cream, farm cheese, seasoning and your crushed dills.
) 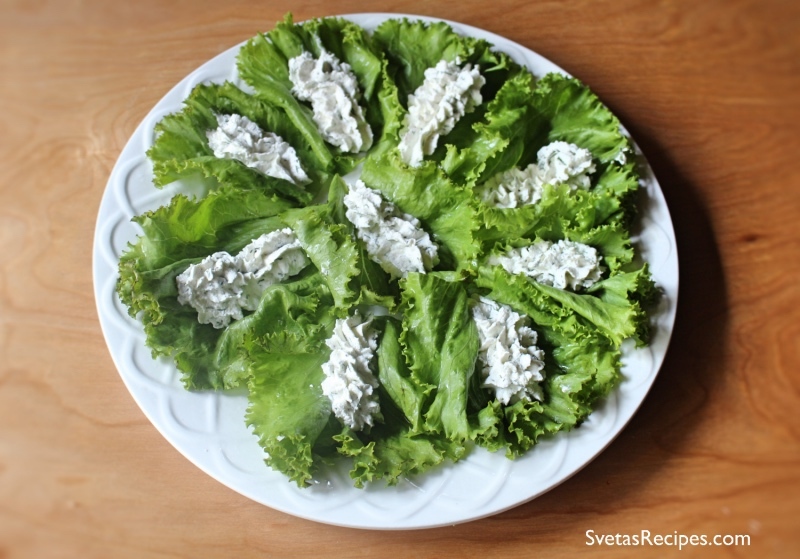 Wash and Dry your salad leaves then, place your salad leaves onto your serving dish and using a star tip with a piping bag pipe out small lines of your cheese mixture. Serve and Enjoy!